Manfrotto, world leader in the photography, imaging equipment and accessories industry, adds new exciting solutions for travel photography and videography, launching three brand new models to satisfy the most demanding outdoor photographers. Perfectly balancing maximum portability and steadiness thanks to its lightweight yet sturdy construction, the carbon version of the Befree Advanced is perfect for photography on the go. The Befree Advanced Carbon (RRP £319.95) features the Advanced 494 aluminium Centre Ball Head and carbon fibre legs that ensure best-in-class performance, stability and tripod rigidity. It only weighs 1.25kg meaning that walking for miles to catch the sharpest, unique shots is now pure pleasure rather than a way to test your passion. 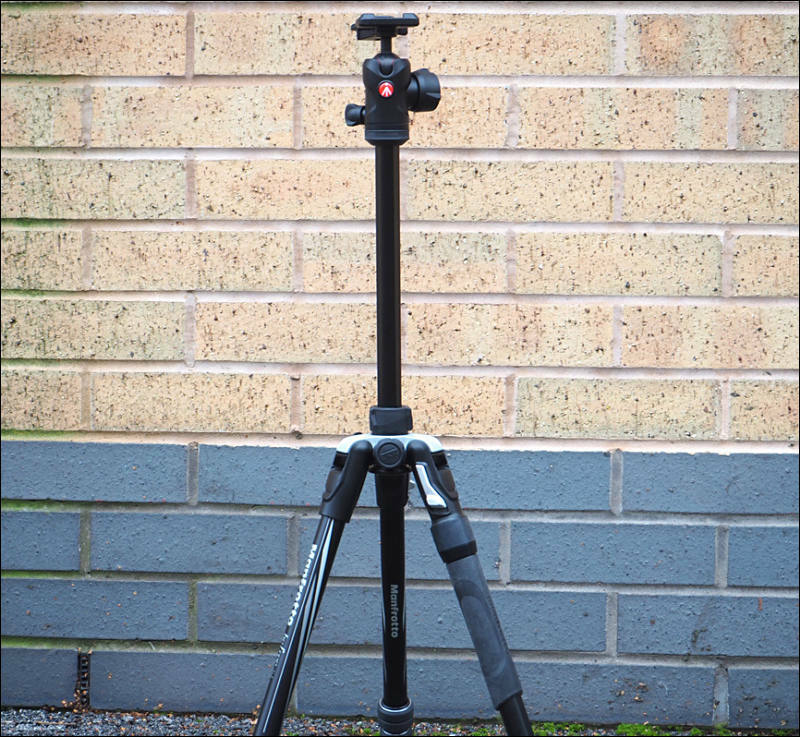 In addition, the Befree Live Carbon (RRP £349.95) and Befree GT Carbon complete the carbon fibre Befree tripod line up. The brand new Befree GT travel tripod meets the highest expectations of professional photographers who want maximum performance even when they are travelling. Available in both aluminium (RRP £239.95) and carbon (RRP £399.95), the new ergonomic design inherited from the Befree Advanced provides outstandingly smooth usability, but in a bigger size. It is the perfect combination of portability and impressive stability, folding down to 43cm yet ensures flawless operation with up to 10kg of equipment. The Befree GT mounts the new Manfrotto Advanced 496 aluminium Centre ball head that combines the same practicality with higher performance in terms of capacity and precision. Framing on the GT carbon gives professional photographers the freedom to express their individuality and achieve the most exceptional shots, knowing they are supported by a professional solution that will never let them down. Both the Befree Advanced Carbon and the Befree GT models feature the M-lock, the new twist lock developed by Manfrotto that enhances compactness and speed of use, making them the perfect solution to slip into a backpack and quickly set up when you see an amazing landscape. Moreover, both tripods feature the ergonomic leg-angle selectors with three independent leg angles that are designed to operate smoothly with either left or right hand. The lightweight, solid spider features the Easy Link like Manfrotto's professional 190 & 055 tripods, allowing photographers to boost their creativity by adding accessories to help make their images remarkable. They can easily add lights or reflectors to capture amazing outdoor shots that were previously only achievable with heavily accessorised tripods. These new models mount a unique plate, the 200PL-PRO, which makes them fully compatible with the world's most widespread standard head attachments: Manfrotto RC2 and Arca-swiss style. The Befree Live Carbon completes the range with a solution that independent content creators have been eagerly waiting for: a lightweight, ergonomic video travel tripod, built to record amazing video footage using DSLRs, compact system cameras or small camcorders. This model's small size and minimal weight (just 1.38kg) does anything but compromise sturdiness or image quality. The Befree Live Carbon has the same brand new tripod legs as the photographic Befree advanced carbon and adds the fundamental feature of the levelling column, which allows a quick horizon set up: a few moves and you are ready to shoot. This model features the Befree Live Fluid Head, which has a fluid drag system on pan and tilt and keeps the camera perfectly balanced thanks to its sliding video plate. Easy to use and set up, the Befree Live Fluid Head has two intuitive on/off knobs that lock and unlock the head's pan and tilt movements separately. Together with the new tripods, Manfrotto is introducing a new backpack dedicated to Travellers, reinforcing and completing the Advanced camera bag collection. The Advanced Befree Backpack is the perfect solution for the photographer who always wants to have everything they need: photography gear, tripod and personal belongings. Everything fits perfectly in this compact bag that is easy and comfortable to take everywhere. When extra room is required, the expandable padded side pocket gives additional space for a travel size tripod like the latest Befree Advanced & Befree GT models. The Advanced Befree backpack will be available to preorder from 21st June. RRP £119.95. The whole Befree Advanced tripod range is designed, engineered and manufactured in Italy, ensuring premium quality, impeccable design and careful attention to detail combined with technological innovation and reliability. Just choose your ideal travel companion from Manfrotto's comprehensive range and hit the road to fulfil your travel photography dreams!